The confident and fantastically positive promulgations of the government’s official spokesperson, Khalid Naciri, who seems to have forgotten his moment of ignominy, that the revolution of the people AND the king – as he termed it – is on the eve of a historical attainment, that Morocco is a democracy, but the upcoming constitutional reforms will render it a greater one, that the press is free, but the King’s newly designed policy prescriptions will make it freer, are nothing but a guileful mesh of lies, falsehoods, deceits, and perjuries from a government whose credibility is now more worthless than chaff. Rachid Nini’s recent judicial quandary, the wrathful security elements standardized use of deadly force against peaceful demonstrators, and a myriad of other indicators highlight how the government’s actions and the populist democratization aspirations fail to cohere into a single national agenda. Since 20 Feb., when throngs of young Moroccans, no longer willing to be politically introverted, sprouted out across the country to decry a solipsistic political structure and demand transparent and egalitarian governance, the response of the Moroccan government and political parties gradually shifted from the cold shoulder treatment to containment attempts within the existing servile, unctuous, and antiquated political structure, and finally the unwarranted use of excessive force. The political parties rationalized their lack of responsiveness to the legitimate demands raised by the demonstrators by claiming they were apprehensive about the organizers’ possible affiliation with hostile foreign and/or local entities. While he recognized that the “Arab Spring” prodded Morocco’s democratic process, Khalid Naciri, a socialist who must have missed the glasnost train of the late 1980’s, justified the use of deadly force by the security elements citing the involvement in the demonstrations of the banned Justice and Charity, Salafia Jihadia, and elements from the extreme right. He insisted that the 20 Feb. reformist movement is being manipulated by these factions and denied them credit for the upcoming constitutional changes by insisting that the beating heart of Morocco’s democracy will always be the King, that the country’s revolution started in 1999 and that today’s planned reforms are in compliance with an already established progressive royal vision. 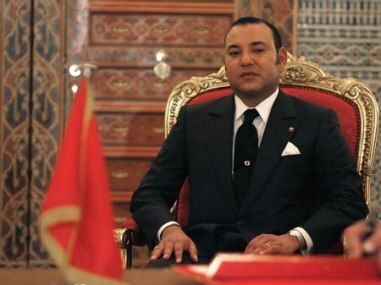 The strategy du jour of Morocco’s plutocracy, operating within the government or the opposition political parties, is to piggyback on the Monarchy while ensuring the latter remains beyond popular probing. “Don’t touch the King,” they tell us. Unfortunately, as thousands take to the street to bespeak the grave shortcomings of Morocco’s political structure, the majority of Moroccans buy into the government’s fabulations. At a time when the last thing needed is self-restraint, millions of Moroccans are made to believe that sounding a countervailing voice against the government and the King is unpatriotic. It is not that Moroccans are gullible; everybody can relate a surfeit of anecdotes on how the highest ranking officials are corrupt; a country which had Tazmamert has Tmara and scores of other undisclosed detention centers; a government that serves as a front to an entrepreneurial plutocracy whose ranks are protected from comeuppance for their profligacy should not preach about the rule of law, ethics, and democracy. But the majority of Moroccans seem, at this delving junction of our history, willing to cast aside the quest for transparency, oversight, freedoms, and democracy as long as our national soccer team extends its winning streak and the price of commodities – subsidized by the government – remains low. This cognitive dissonance is symptomatic of a nation whose character is so eroded that it confuses a lack of abuse as magnanimity. The views expressed in this article are the author’s own and do not necessarily reflect Morocco world News editorial policy.